You will be the apple of someone’s eye today, and remain delightfully attractive to many, even if you have your doubts. 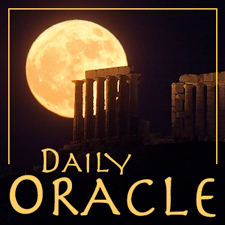 Today’s Oracle takes us to the Libra daily for March 7, 2018. You will be the apple of someone’s eye today, and remain delightfully attractive to many, even if you have your doubts. It would help if you relaxed about this and let your beauty shine. You don’t owe anyone anything; you have your options open. That’s an excellent place to be.